Colorado is leading the 420 friendly travel industry. So for 5 years now Colorado has been selling cannabis to adults, 21 or over. With the legalization came a market that was to explode, cannabis tourism. 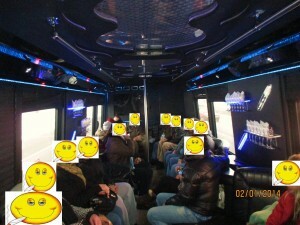 My420 tours was the first to have an actual cannabis tour in America. Then came Colorado Highlife Tours who were the first to do daily cannabis tours in America, then came the flood of others. After about 3 years the market had chosen the tour companies they like and the others faded away, but Colorado still has approximately 10 functioning marijuana tour companies/travel agents. These companies can book you a tour, classes on various cannabis friendly things to do, book your cannabis friendly lodging and also book you other activities. Colorado Highlife Tours can get you booked on a zip line adventure or a hike in the mountains or how about some indoor skydiving? My420 tours has a Sushi and joint rolling class so you can eat some raw tuna and roll a joint. Colorado Cannabis tours boasts its painting classes as the fun activity for cannabis and art lovers. One thing great about cannabis tourism in Colorado is that the are one of only two states that you can smoke in limos, buses, RVs. So be sure to take a tour as you will be doing something most will never experience. The main reason in my opinion that cannabis tourism is doing great in Colorado is that the state has not stifled it with stupid restrictions, but choose to fix problems as the arise. Another budding industry is lodging or cannabis getaways. The famous Bud & Breakfast in Colorado is the one most remember but there are a TON more to choose from. You have the The Holiday Chalet in Denver that has the best value to prices we have seen across the market. They have a very nice patio in the garden for you to try out some strains on. You also have some alternatives on VRBO , a vacation home renting site. Just search for “420 friendly Colorado” and you will pull up a ton of options. If your seeing a show at Red Rocks Amphitheater then the Cliff House Lodge is a great place. Now it aint fancy, it has a eclectic Colorado vibe to it, but it is still a very good option. They let you blaze out in the cabins they rent, that all come with a hot tub or two in them. Now we can’t forget about the awesome skiing they have in Colorado. Here you have a lot of options. 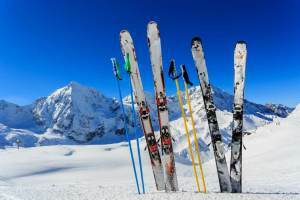 Now none of the ski resorts allow smoking on the slopes but a lot of 420 friendly lodging can be found near everyone of the popular ski destinations. Almost all of the ski cities have a recreational store or two so you still can stock up for your stay. Once again use VRBO or our listing to find you the EXCELLENT option for you cannabis vacation. The best place to stay in my opinion is Breckenridge. You have a lot to do there as far as shopping, eating, sight seeing and activates. 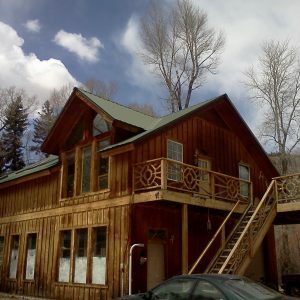 While your there you can visit the famous Breckenridge Cannabis Club to pick up a joint or two. Also you can read our article on 420 friendly ski resorts. Now you can also do it all yourself… using our site to help you find all the things you need to have a great cannabis vacation is what we are here for. USAWeed is here to help expand cannabis tourism across America. Iron Lungs – USAWeed contributor.